OVERSEEDER Rentals Ft. Collins CO, Where to Rent OVERSEEDER in Ft. Collins, Wellington, Greeley, LaPorte, Loveland, Windsor CO and all of Northern Colorado. 0in attachment design allows for quick removal of seed box to empty out excess seed. The manufacture recommends mowing grass to 1 to 2" height. Water after seeding, do not water prior to seeding. Power rake to detach lawn and remove thatch to 1/2". 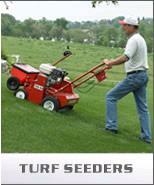 Aerate lawn with a core aerator from Best Rental. * Please call us for any questions on our overseeder rentals in Fort Collins, Wellington, Greeley, LaPorte, Loveland, Windsor CO and all of Northern Colorado.